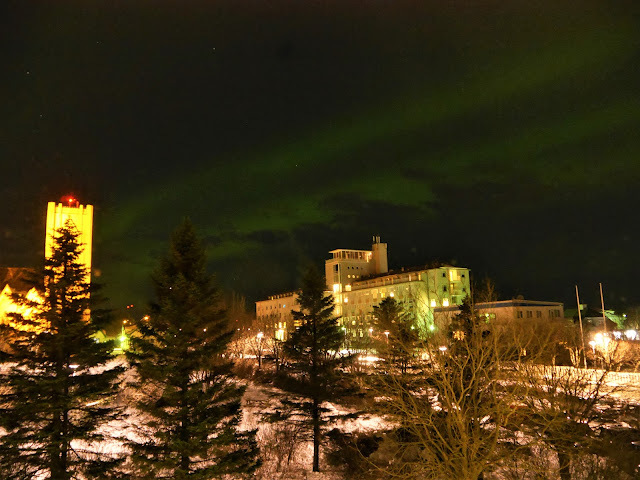 If this post seems to be coming out of nowhere, head back over and read my previous post about my secret trip to Iceland to chase the Northern Lights. The car I was driving on the left, the car I wanted to be driving on the right. My Airbnb apartment rental surpassed my wildest dreams and quickly shot ahead to my favorite on of all time...so far. (I keep my hosted Airbnb and my rental Airbnb's in different categories.) I was elated. Then I fell into bed overcome by my jet lag and slept for three hours. This never happens to me. I can always power through. The excitement on the plane left me with no little to no sleep whereas I can usually get at least a decent amount. This was one of two naps I had to take when I arrived. Interrupted only by grocery shopping and preparing for my Northern Lights Tour. Time Tours was scheduled to pick me up between 20:30 and 21:00. They were very easy to deal with and will pick you up pretty much at your door. (Airbnb, Hotel, wherever). While I was outside waiting to be picked up, I had my eyes peeled to the sky, really more looking at the stars BUT then they appeared again! 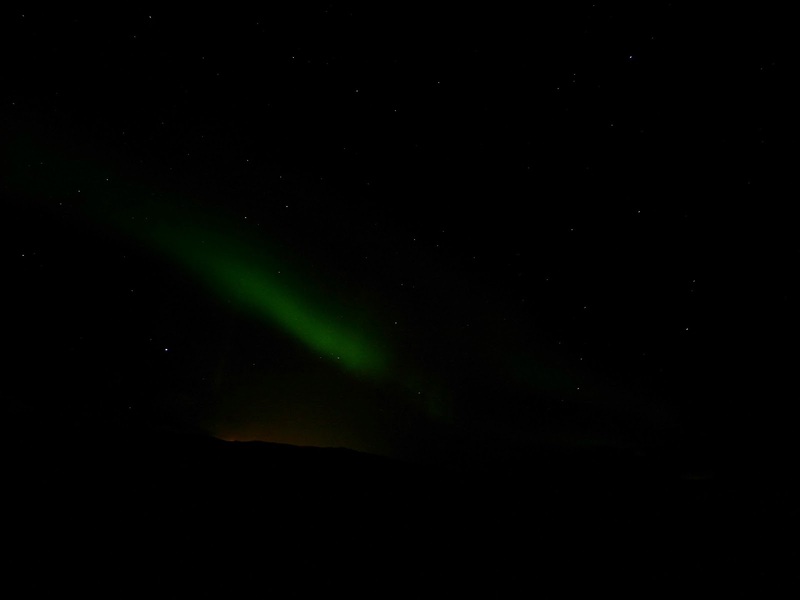 I was seeing Northern Lights on my way to see the Northern Lights! I didn't really have time to get out my tripod so I took a few more grainy pics on my phone. Due to the demand that evening (a projected high Kp), Time Tours had contracted out to Iceland Everywhere Tours for some help. Our lovely guide was their proprietor, and he looked and sounded like an extra from the show Vikings, but I sadly can't remember his name. We were in a bus/van/minibus vehicle. It had a few empty seat but the tour was well attended. We were accompanied by a second vehicle but we didn't stay together long. Me, wearing everything I brought to Iceland. There were actually auroras when I took this. That's not dust on your screen, they're stars! At least the stars came out! And then, on my last night in Iceland, I was treated to a final show of glory! 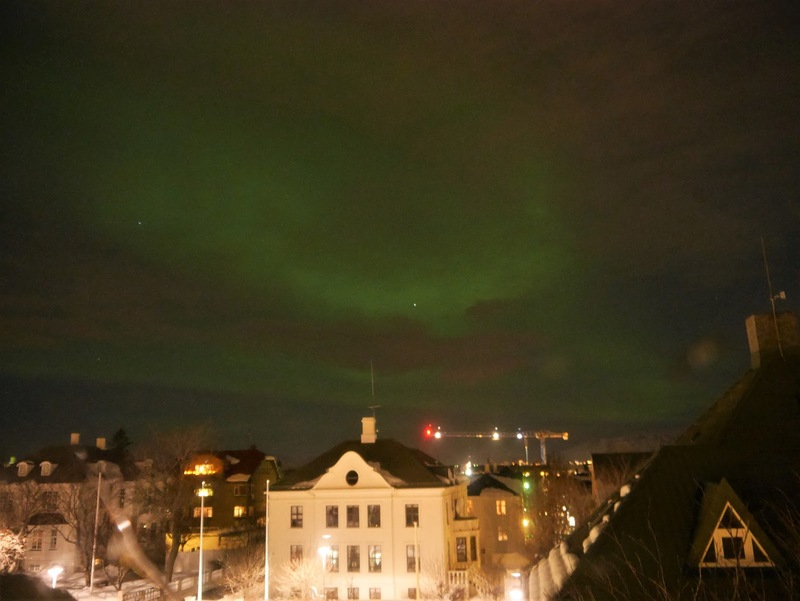 I took the above 3 photos out the window of my Airbnb apartment in Reykjavík. I thought maybe just maybe it was clear enough out to catch a final glimpse before I left. I scoured my apps, decided it was going to happen and just started watching. And then it showed up! I ran from window to window to window, tripod in hand, filter off, and started shooting hoping something would come out. I could see the Auroras from two sides pretty well, the third side faced the brightest part of the city so almost nothing was visible there except the normal awesome view. I was so excited I was practically shaking. It took hours to finally fall asleep after seeing my FOURTH beautiful display. Nothing topped the views I got on the tour that first night, but wow, wow, wow! This whole experience, wow! Even now, writing about it months later, I can still FEEL it. - Wear even more layers than you think you will ever need, always. - Bring a tripod if you want to take pictures. Self-timer is your friend. - If you normally shoot with a filter on your lens, make sure to take it off!!! I can't express this enough, I forgot mine was on there and I got almost no visible pictures from the most impressive night of auroras I saw because of this. - Bring snacks, water, possibly hot chocolate, maybe something stronger. You will be out there longer than you initially think, especially if it is a good night. 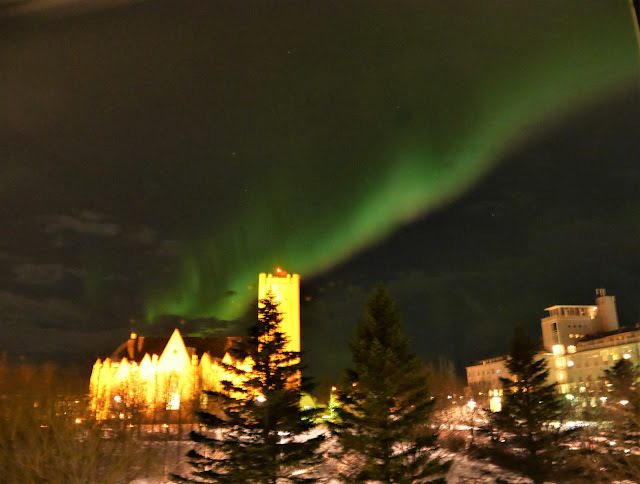 - Get an Aurora tracking app before your trip if you are heading out without a tour. There are many of them out there, so see which interface you like best. Kp index is really your most important feature, if it has Kp index by hour, even better. I didn't pay for any pro features, but I am sure those are good too. There are numerous choices and something for everyone. 4x4 tours, big bus tours, jeep tours, small bus tours and literally everything in between. I started my search on Trip Advisor and chose Time Tours because of the good reviews, the small bus and the price. I was very happy with my choice. My tour cost was approximately $70.00 USD, for a small, guided, nearly 5 hour tour. Worth every penny. (This is NOT a sponsored post but it does have affiliate links in it). Chasing the Northern Lights is actually tougher than it looks, but wow! the experience is ultimately rewarding! AMAZING photos you got there!